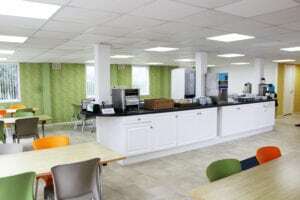 Located halfway between Dundee and Perth, we facilitate a wide range of events and festivals. With a choice of large indoor and outdoor facilities we can accommodate almost any event. Our events fields are suitable for anything from car rallies to pet shows. One of 3 internal halls that cater for concerts, fairs and exhibitions. Errol Showground offers a range of superb indoor and outdoor venues, suitable for a wide range of events from classic car rallies to garden fairs right through to popular circuses and music festivals. Our busy show and event calendar regularly sees more than 10,000 people descend upon historic RAF Errol Airfield. We have an established reputation for delivering quality events, value for money and excellent support services. Errol Showground offers a great selection of indoor and outdoor venue facilities. We have an established record for delivering big and small events. Did you know that we also have our own hotel located 15 minutes from our site on the grounds of Perth Airport? 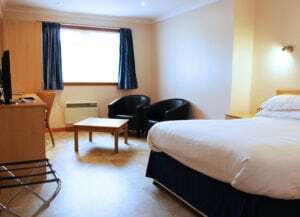 Our Sky Lodge Hotel provides guests with quality accommodation at quality prices! With having rooms starting from just £26.95, our hotel guests can afford to stay longer and explore the amazing opportunities within the heart of Perthshire. 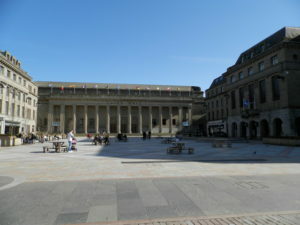 Dundee is now the new place to be in 2019 with its ambitious and artistic developments. 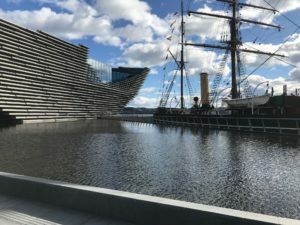 Having become the first UNESCO City of Design within the UK and the home to the spectacular V&A, (one of the very few worldwide and the first in Scotland) Dundee is finding its place on the map and is helping to promote Scotland’s design tradition worldwide.